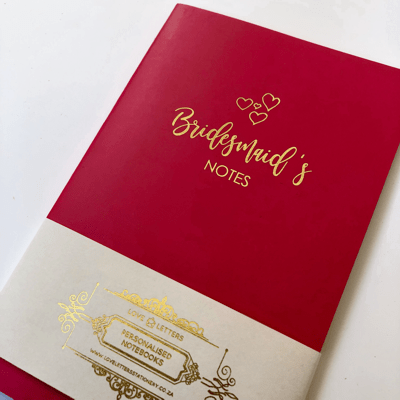 Softcover, A5 gold foiled notebook, personalised with your bridesmaid’s name – for the super efficient and fabulous bridesmaid. A5 softcover notebook. Lined ivory pages inside.